I am a research agronomist with a particular interest in understanding the effects of soil properties on crops. 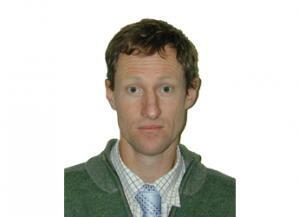 I have more than 15 years experience in field-based agronomic research and have developed an extensive knowledge of temperate-region cropping systems within the UK and Australia. I have gained experience working on a wide range different crops and land uses from Scottish upland grasslands to irrigated cotton in Australia. This has enabled me to study a great variety of soils with distinctive different properties. I am keen to explore, develop and test creative options (e.g. new practices or varieties) for agricultural land use that assist with the numerous challenges which farmers are facing today. It is my desire to contribute improved understanding and solutions that further develop sustainable practices. I hope that my research will also provide valuable insights for policy and the whole agricultural industry. My overall research interests are in field agronomy, precision agriculture, soil science and agricultural management practices. Understanding how and why agricultural production systems function has been central to my previous research activities. I am interested in exploring the factors which explain crop productivity or efficiency. My research has mostly been undertaken with a focus on soil properties, but always in a crop (including grass) context. Indeed the relationship between the soil and plants is of prime interest. My research has mostly been on field experiments. I have previous experience in investigating a range of soil properties, including hydraulic, physical and chemical properties. This work has highlighted to me the importance of soil condition and the strong linkage between soil properties with soil function. It is with the requirements of crops where this becomes most important and this is an area where I enjoy to research. ‘Problems’ issues where I am interested include: soil acidity, waterlogging and nutrient (P and K) availability. With the development of new technology I am interested to utilise the latest techniques to monitor and evaluate soils and crops. This includes using geophysical instruments, unmanned aerial vehicles (UAVs) and geostatistical analysis to explore spatial patterns. In the past have undertaken multi-disciplinary research with pedometricians, hydrologists, livestock scientists, economists, social scientists and others. Thus, I am able to engage well in collaborative research. Liming: my research on liming involves two distinct areas: (1) an upland grassland experiment that is investigating changes in soil properties after liming and (2) using historic data to explore the relationship between soils and crops. Both areas of research seek to improve understanding of the impacts of liming for agriculture. Soil Phosphorus: investigating the effect of management practices on soil P availability and the risk of soil P loss for Scottish agricultural soils. Precision Agriculture: new technology offers significant opportunities for improving the operation and management of agricultural production systems. I have explored the potential of several different soil and crop sensors. For soils I have used electromagnetic induction (EMI) and gamma-ray spectrometry, while for crops I have used fluorescence, chlorophyll and NDVI sensors. I would like to provide solutions that further develops precision agriculture. Crop nutrition product testing: research and development of crop nutrition products and biostimulants in field and glasshouse experiments for spring barley, grassland and potato crops. Impacts of agricultural management: evaluation of the performance of farm management practices using a range of different approaches. January 2016 – present: Research Agronomist, The James Hutton Institute, U.K.
1996 - 1998 – BSc (Hons) (Upper Second Class) Agricultural Business Management, Wye College, University of London, U.K.
1993 - 1996: HND Agriculture, Seale Hayne, University of Plymouth, U.K.
Holland, J.E. ; Cammarano, D.; Fitzgerald, G.J. ; Perry, E.M.; Poile, G.; Conyers, M.K. (2019) Proximal fluorescence sensing of potassium responsive crops to develop improved predictions of biomass, yield and grain quality of wheat and barley, Precision Agriculture, 20, 379-397. Holland, J.E. ; White, P.J. ; Glendining, M.J.; Goulding, K.W.T. ; McGrath, S.P. (2019) Yield responses of arable crops to liming - An evaluation of relationships between yields and soil pH from a long-term liming experiment., European Journal of Agronomy, 105, 176-188. Holland, J.E. ; Hayes, R.C. ; Refshauge, G.; Poile, J.; Newell, M.T. ; Conyers, M.K. (2018) Biomass, feed quality, mineral concentration and grain yield responses to potassium fertiliser of dual-purpose crops., New Zealand Journal of Agricultural Research, 1-19. Holland, J.E. ; Bennett, A.E. ; Newton, A.C.; White, P.J. ; McKenzie, B.M. ; George, T.S. ; Pakeman, R.J.; Bailey, J.S. ; Fornara, D.A. ; Hayes, R.C. (2018) Liming impacts on soils, crops and biodiversity in the UK: a review., Science of the Total Environment, 610-611, 316-332. Holland, J.E. ; Biswas, A.; Huang, J.; Triantafilis, J. (2017) Scoping for scale-dependent relationships between proximal gamma radiometrics and soil properties., Catena, 154, 40-49.